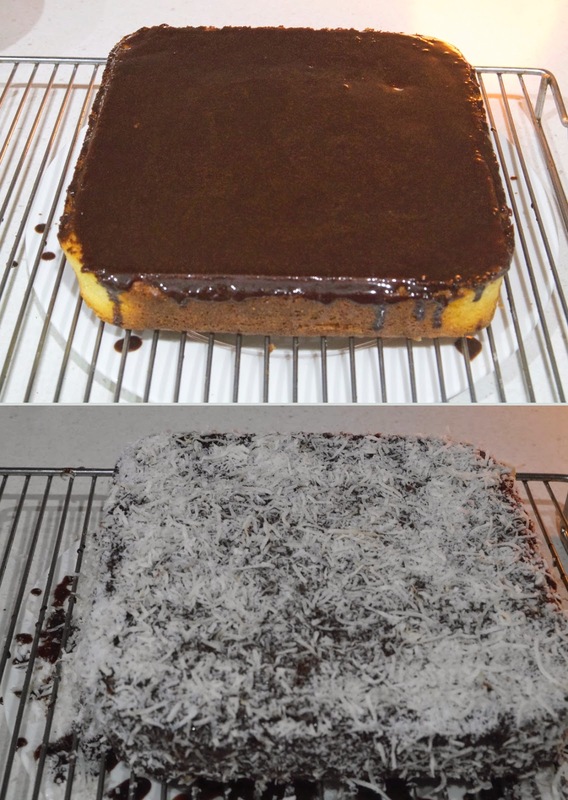 This delicious lamington cake is for those who don’t like the gluten free foods. You don’t need to let them to know this cake is gluten free. Adding orange to the recipe, brings citrusy flavour and fragrance. Chocolate and orange are also a great combination. This cake is best made 1 day ahead. Preparation time + cooking times 1 hour & 10 mins. 1.Preheat oven to 180°c ( fan forced oven 170°c). 2. Grease a 4 cm deep, 21 cm X 21 cm capacity cake tin. Line with baking paper. See the hints & tips and below picture. 3. Place flour, coconut and orange zest into TM bowl, mix for 5 seconds/speed5. Set aside. 4. Place the sugar into TM bowl, milled for 10 seconds / speed 9. Add butter and cover with MC, melt for 50°c / 40 seconds / speed 4. Add eggs one at a time cover position / turbo once each addition until just combined. Add orange juice than the flour mixture and cover with MC, mix for 6 seconds / speed 3. 5. Pour mixture into prepared pan. Smooth the surface. Bake for 45 minutes to 50 minutes or a skewer inserted into centre comes out clean. Cool cake in a pan. 6. Remove cake from pan and trim edges if you wish. Place cake on the wire rack or on the board. See the below picture. 7. To make icing mixture; place sugar into TM bowl, milled for 40 seconds / speed 9. Add cocoa powder and cream, cook for 50°c / 5 minutes / speed 2. 8. Spread chocolate icing on the cake using a pastry brush, brush along the side of all edges. Spread coconut over and side pressing on to secure. Taking care transfer to a prepared plate or board, coconut icing upside down (see the Hints & Tips). Spread the remaining chocolate icing mixture, then the coconut and gently press down to secure. Place plate or board over iced cake using both hands, holding the base and top plate or board flip (turn) cake upside down. This cake keeps stored in an airtight container for up to one week. How to prepare cake (pan) tin. 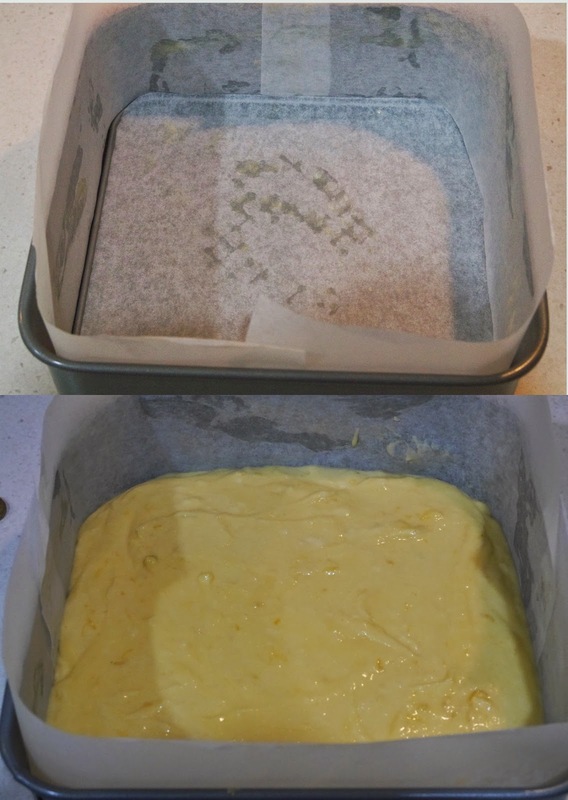 Grease the side of the baking tin (it holds the baking paper properly) then line the sides of the cake tin (pan) with baking paper. This trick gives you a nice edge to the cake also it is easier to remove the cake from the tin. Beautiful does not have that heavy glueten free texture to it . So delish .